Control all meal times. Dog specialists state that it is necessary to introduce specific meal times. This will show your Pitbull that he is fed by a person and this person will be accepted as a leader. Command your Pit to sit in a firm and clear voice before meals. This will help him understand that you control the meals and you are the dominant person. 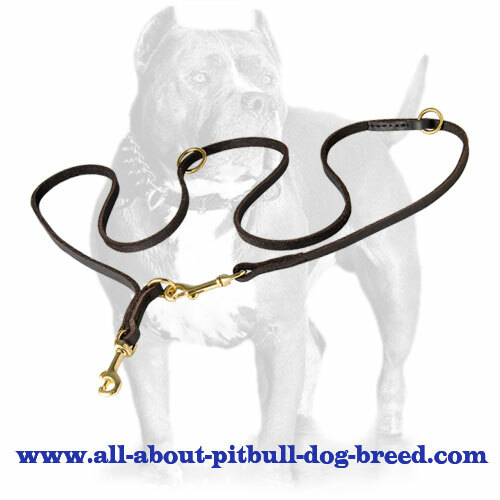 Reward your Pitbull for good behavior. It is believed that it is necessary for every dog to differentiate between wrong and right and an owner is a person who is in charge of this task. 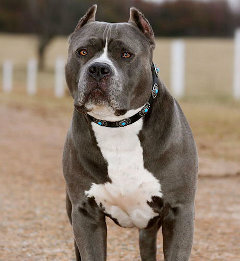 Dog trainers say that if you encourage your Pit, he will understand that he is on the right track! A lot of people like receiving gifts. Have you ever thought that your Pit would also like to get a gift from you? 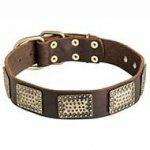 Our online store is glad to present a wide collection of collars, bite suits, harnesses, dog toys, muzzle, dumbbells, leashes, bite sleeves, training balls of the highest quality. Do not miss a chance to please your Pitbull! Order training equipment of the highest quality from our online shop!